How to enable one-time passwords in JuanTax? 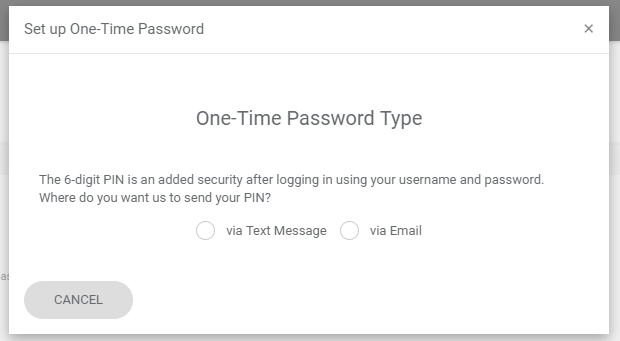 OTP or One-Time Password is one of the newest forms of security measures wherein a password would be valid for only a session. Much like two-step authentication, these passwords come in the form of codes that are designed to keep one's account secured. To enable One-Time Passwords in JuanTax, you need to log into your portal, go to the Account Settings page, then proceed to the User Settings tab. Enable One-Time Password by turning the switch. After that, you’ll be redirected to a page where you need to choose on what mode you wanted the 6-digit pin to be sent, either via text or email.